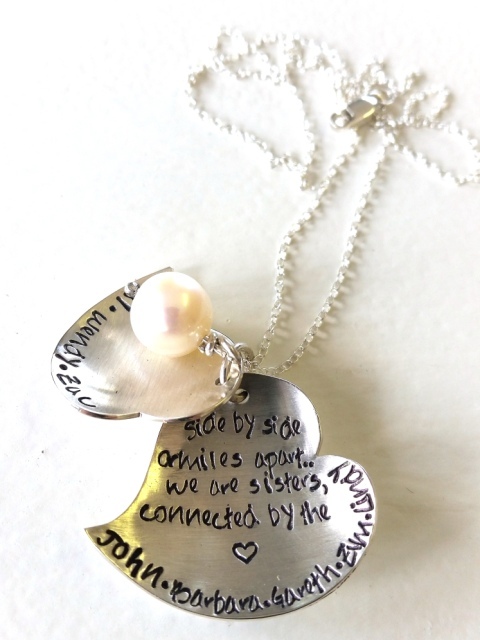 A large and smaller heart in sterling silver is domed to fit each other and then hand-stamped along its edges. You can even add a hidden message behind the smaller heart. 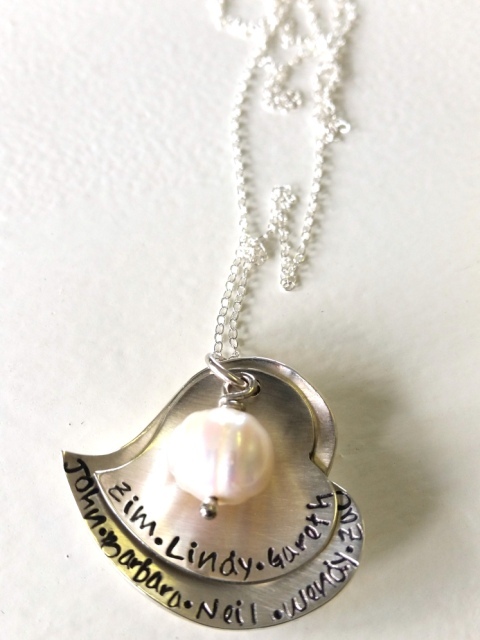 With your choice of sterling silver chain, finished with a freshwater pearl. Notify me when 45cm fine oval link chain Lopsided Hearts Double Dome Pendant is available.